Chenies Manor House in Buckinghamshire certainly makes impressive viewing has been on my "Wish List" for at least two years and I finally got there today! One of the reasons it's taken me so long is the extremely restricted opening hours at the property - Wednesdays and Thursdays only, for just three hours in the afternoon (plus Bank Holiday Mondays). But it was certainly worth waiting for, even if the crowds are slightly overbearing! 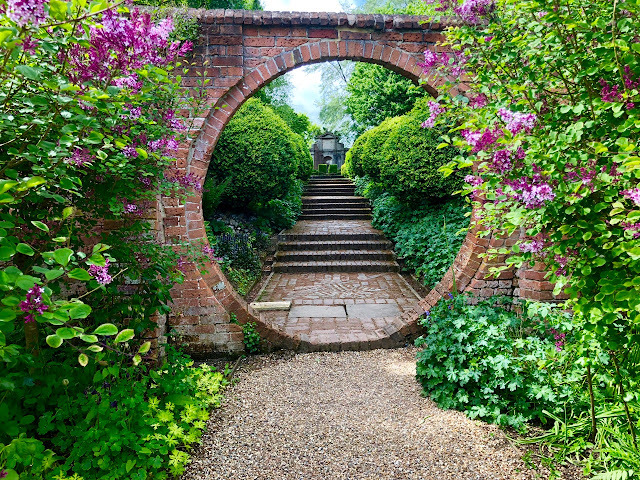 The five-acre garden is divided into a series of linked garden "rooms" which surround a Grade I listed 15th and 16th-century brick house with impressive chimneys - a wonderful backdrop to the floral displays. Particularly impressive at this time of year are the tulips in the Sunken Garden (above), which was also filled to overflowing with cooing middle-aged ladies today, so most of my photographic attempts featured flashes of floral fabrics as well as flowers. 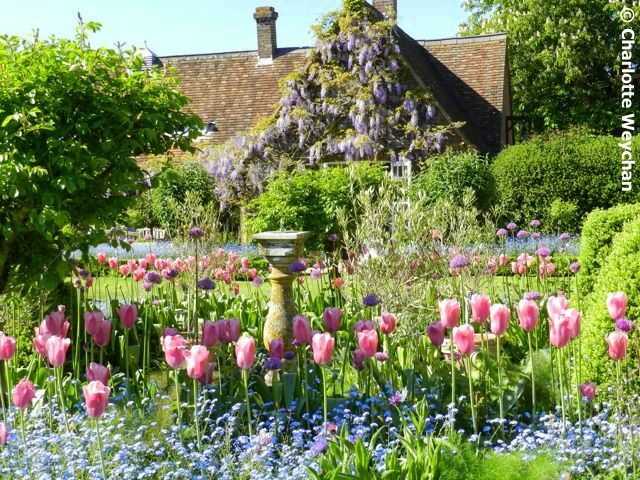 But once the tulips are over, they are replaced by bedding plants for the summer months (the flower beds, not the ladies). 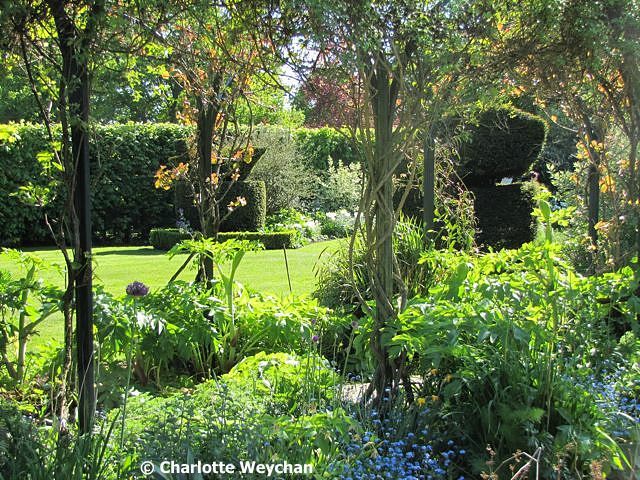 There's abundant green foliage everywhere, plus a white garden, a Physic Garden filled with medicinal herbs, a parterre and a productive kitchen garden. 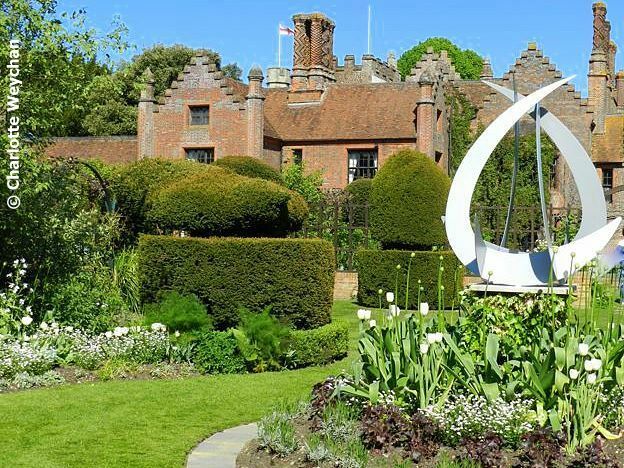 Immaculate topiary is another noticeable feature at Chenies and there's also a yew maze based on an Isaac Newton mathematical theory of an icosahedron (which, for those of you who understand geometry is a regular polyhedron with 20 identical equilateral triangular faces, 30 edges and 12 vertices) and a labyrinth maze next to the Kitchen Garden. In other words, it's a fantastically complex design, which works well here. 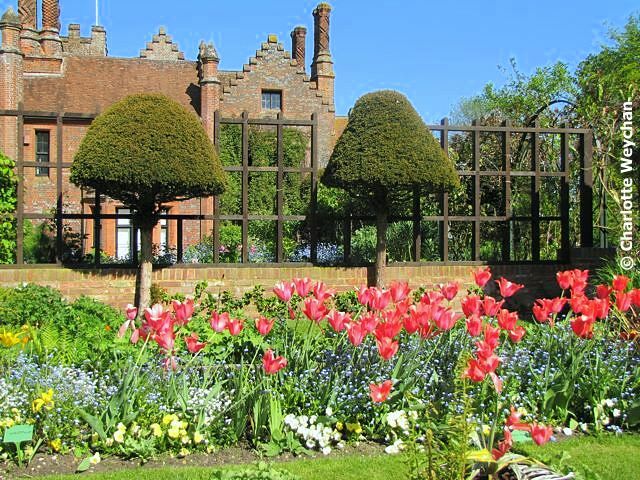 Chenies Manor has had a long and interesting history and both King Henry VIII and Queen Elizabeth I were visitors here in days gone by. 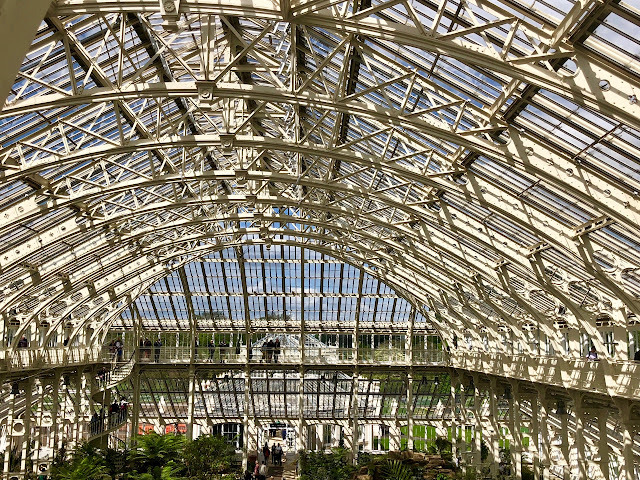 The house is open to the public and you will be just as amazed by the interiors as you are by the gardens. Another part of this property's charm is the church (below), which overlooks the entrance to the house. 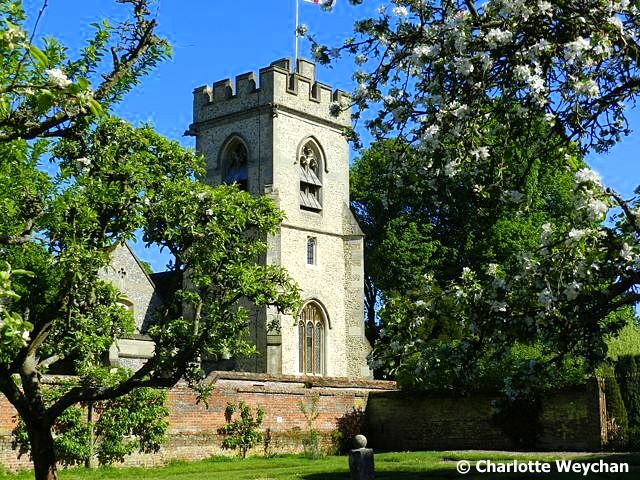 The surrounding village is the epitome of English life and although in the heart of commuter belt, the big advantage is that the property is easily accessible from Central London if you fancy a day out. Such a beautiful garden ... loved the Wisteria! Charlotte ~ I want to thank you once again for sharing all of the beautiful gardens you are able to visit. I think your photos are wonderful and nary a floral print covered lady shows. What an interesting garden this one is with all of its different rooms. That yew maze sounds fascinating. I love the old brick home and chimneys. England has such fairy tale gardens. thought the abstract art a little strange, but enjoyed the scale of the large trellis. Oh what an amazing garden. One of the beautiful places on earth. I love your blog! It's like a coffee table book. I get so many ideas from it - if only I had the time, money, and help! I love looking at the gardens I'll never see in real life. Beautiful, beautiful, beautiful. Lovely post Charlotte. I've been there but it was quite some time ago and your photos reminded me of how beautiful it is. Loved the gag about the ladies! I may never get to go so thank you for taking me along. It is a lovely garden. lovely, lovely, thank you for sharing! I look forward to seeing the new garden.